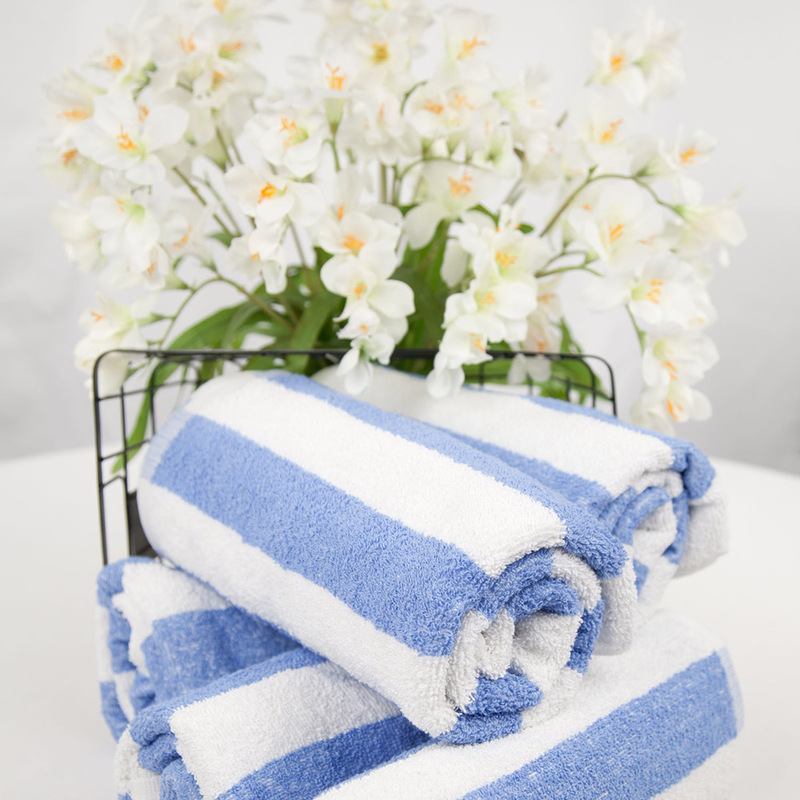 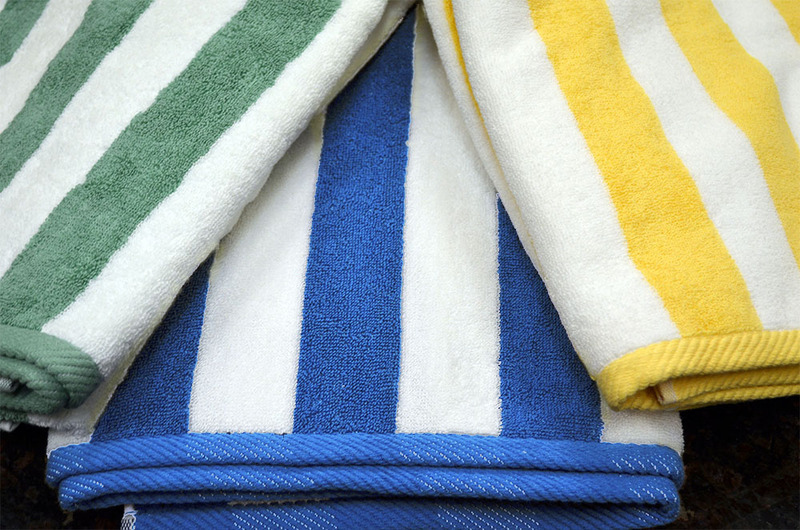 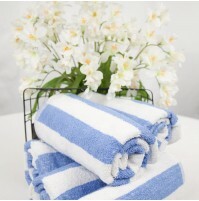 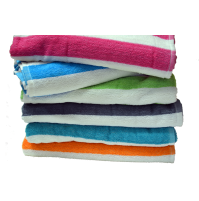 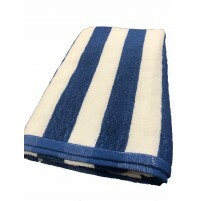 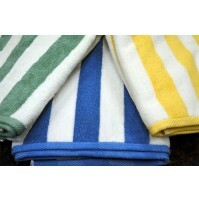 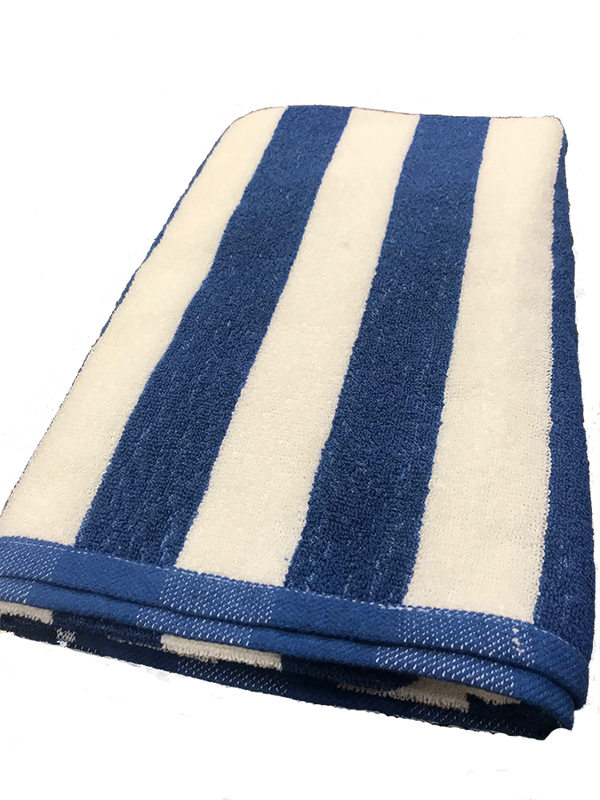 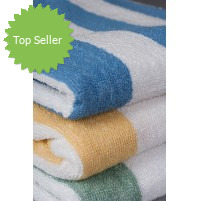 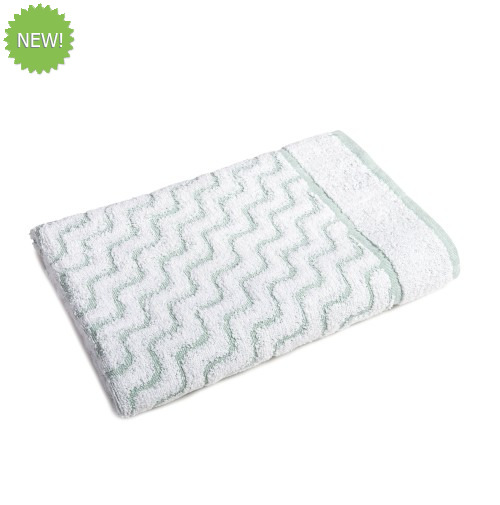 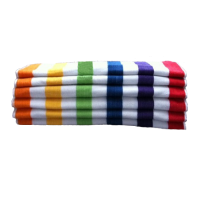 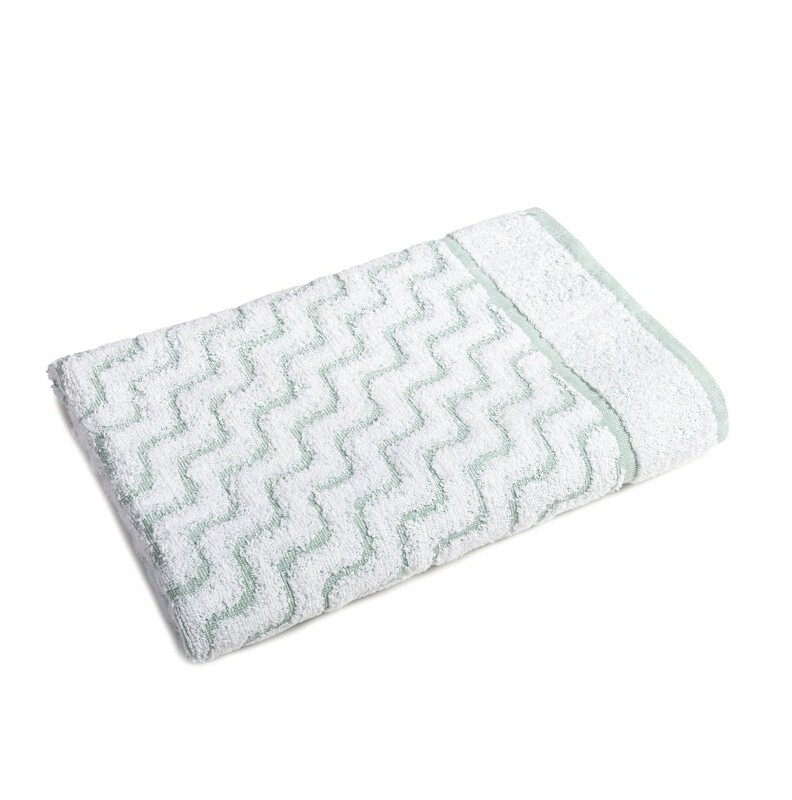 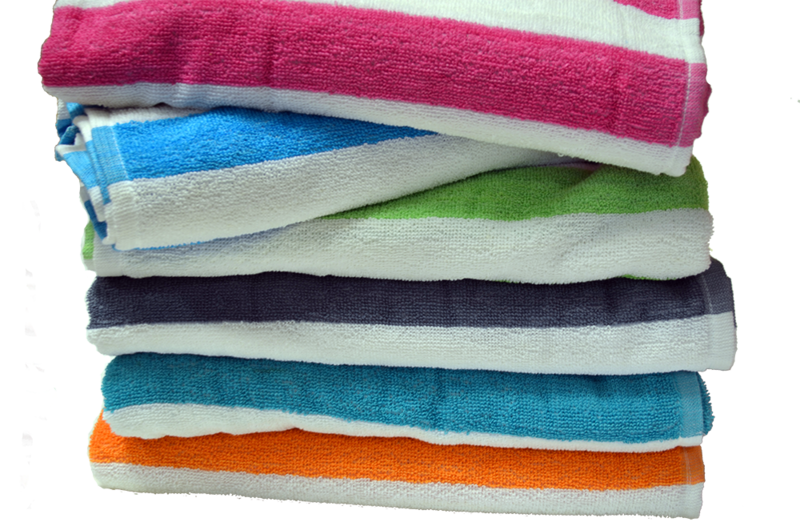 Green Wave Pool Towels are made with 100% cotton terry with a low pile. 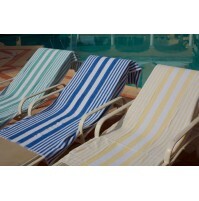 The jacquard stripes are Vat-Dyed to withstand industrial laundering. 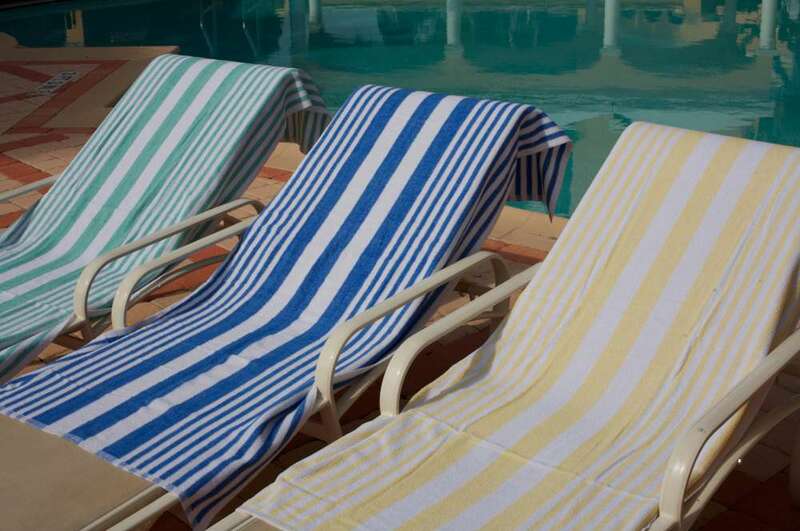 Perfect application for a hotel pool towel offering.